Coca-Cola, Christmas and Santa are undeniably interwoven. Coca-Cola ads in the 1930's helped popularize the modern version of Santa, with his red coat, jolly demeanor and snow white beard. While they didn't invent this version of him, they did cement him into western culture. 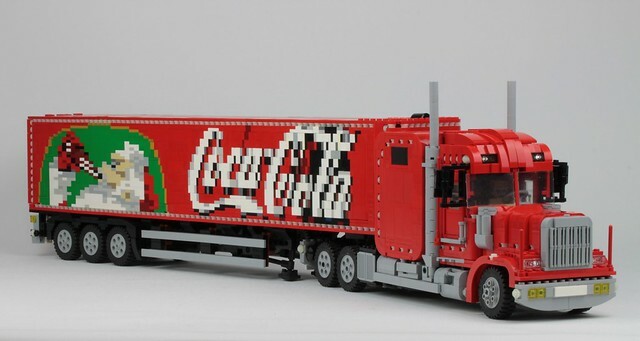 So seeing him on the side of this wonderful truck by builder Lasse Deleuran just says "Christmas" to me. The truck is also fully remote controlled thanks to an SBrick. Porg, It's What's For Dinner.